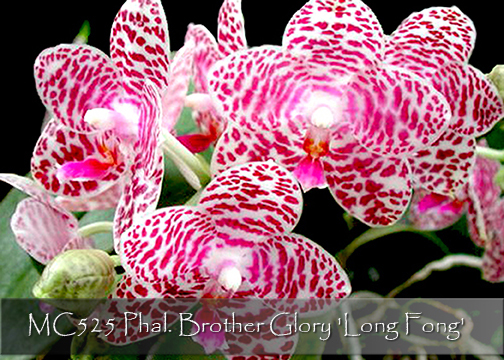 A timeless classic, the clone ‘Long Fong’ AM/AOS is the very best clone to result from Phal. Brother Glory! When awarded it was carrying 22 waxy fragrant flowers on a single branched inflorescence, remarkably floriferous for a novelty hybrid. 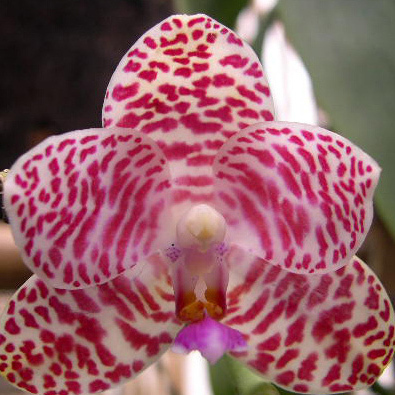 Its 6-7cm glossy flowers are totally covered with a magenta broken-barring pattern, stunningly finished with a magenta lip and white anther cap. A rare and limited opportunity to obtain this classic and Highly Recommended! Long Fong' AM/AOS, Note: Only 6 available.